In the cellar there’s a room behind the collapsed hallway. I would treat this as a secret door to see if the characters can notice that there’s something behind the fallen blocks of stone and gravel. 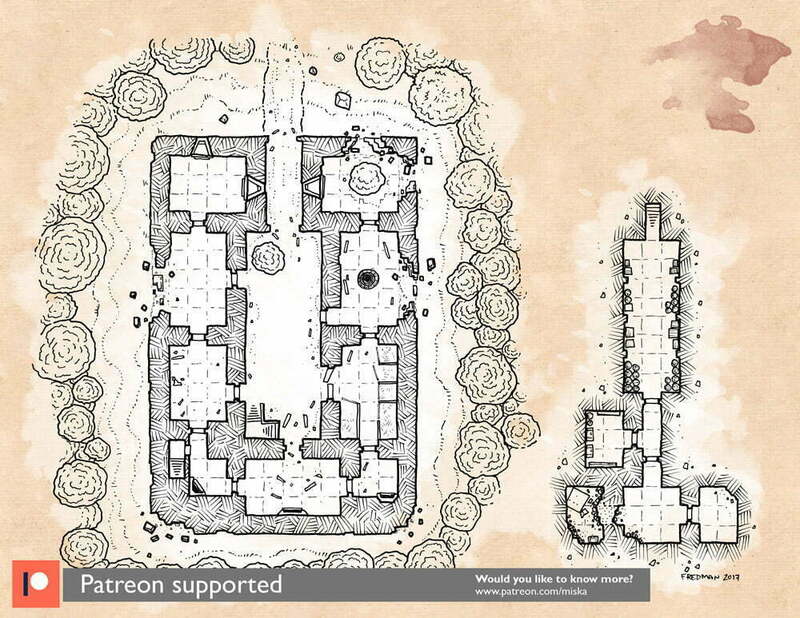 For high-resolution waterstamp-free versions of this and other of my RPG maps, please check out my Patreon page and storefronts in DrivethruRPG and RPGnow. This map was originally published on Patreon with the support of my awesome patrons in August 2017.